An endless high-octane battle of miniature proportions is about to begin. 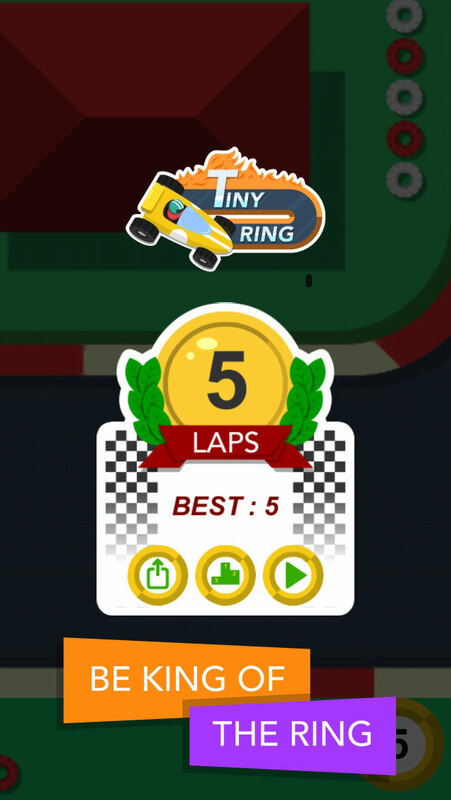 Twiddly Studio throws open the doors to the ultimate test of nerve, reactions and stamina and invites racers from around the globe join together to compete in a racing tournament like no other - Tiny Ring. Simple one-touch controls conceal the complexities of keeping an out of control race car on track. With no brakes and only one steering direction - racers must expertly judge each on coming bend at a gradually increasing speed, or risk crashing out. 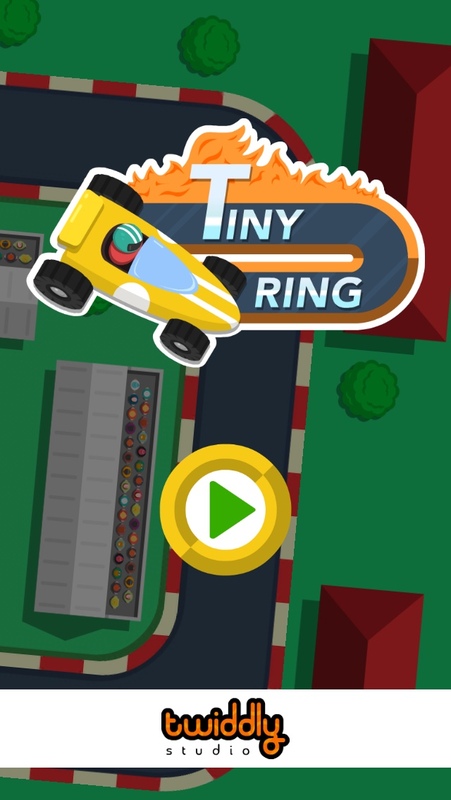 The world holds it's breath as racers lap themselves, lap their friends, in fact lap everyone to see who will be the King of the Tiny Ring? "Seriously, this game is hard. I mean, I programmed it and I can't even get all the way round the first lap. If you don't have what it takes, just stay away. Believe me, the last thing I want is a million App Store reviews complaining about how the car goes too fast, or keeps slamming into the side of the track. Let’s be clear - if the car crashes, it's YOUR fault." Twiddly Studio is an emerging British, creative games studio, founded in 2011 by Software Developer Andrew Noble and soon after joined by, Web Designer turned Graphic Artist, Andrew Nicholls. The independently funded studio develop games displaying their own distinct, characterised brand and style with balanced gameplay on iOS platforms. Twiddly Studio's first game, 'Tilt & Sprout' was released in 2011 on the App Store for iPad and iPhone. They launched their second game, SUM IDEA for iOS devices in February 2015, which has been featured in the App Store's Best New Games and Best New Game Updates. 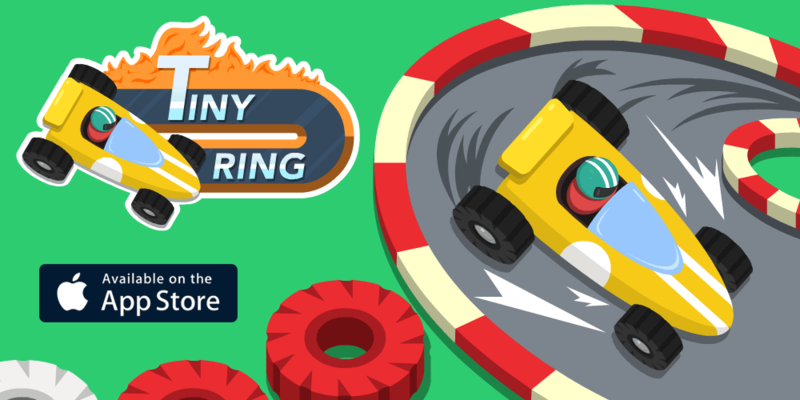 Tiny Ring is an endless racer with simple one touch controls, a car that only steers left, has no brakes and gets faster with every lap of the track. Wait for the lights to turn from red to green and speed away from the starting line, but then you find out your car can only turn left, there are no brakes and your car is not stopping. 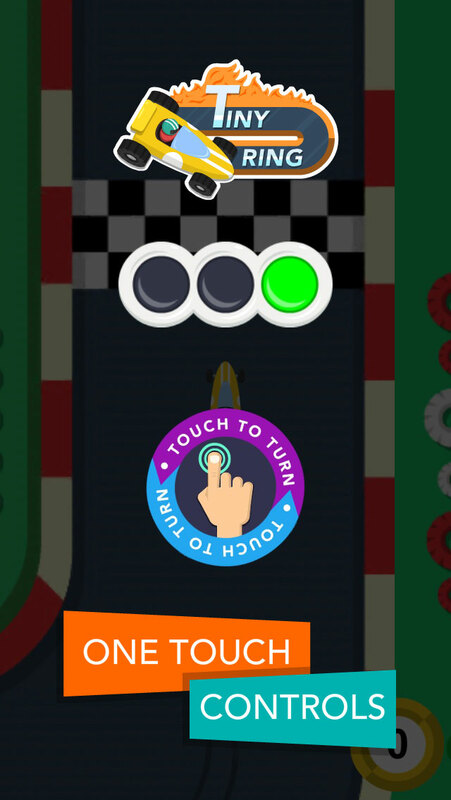 Touch your phone screen just long enough to turn the race car left around each bend to successfully complete a lap of the track. 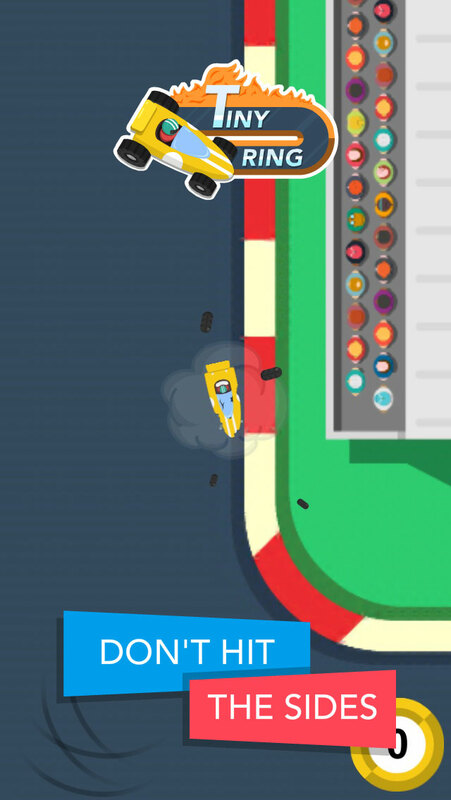 Your challenge continues as your race car gets faster with every successful lap, but how many laps of the track can you successfully navigate before you crumple and crash? In the Tiny Ring get the perfect angle, don’t hit the sides and lap that track!